John and Josh Lyons are among the headliners this year, as Horse Expo Pomona continues to bring top equine experts to its stages and arenas. One ticket price gets you access to unlimited learning, whether you’re a competitor looking for an edge or a recreational rider looking for insight into your human-horse relationship. One of the most respected trainers around the world, John Lyons is known as “America’s Most Trusted Horseman.” He has earned that title through 30 years of dedication to horses and horse owners. His ideas and concepts in horse training have influenced every level of performance, every style of riding and every breed of horse throughout the world, and it’s safe to say that his ideas and work have changed thousands of lives. John’s sincere regard for people and the horses they love has remained unchanged throughout his career. John has been honored by many facets of the horse industry, including universities, breed associations, horse clubs, magazines, cities and states for his contributions and dedication to the horse and the industry, and he continues to be one of the most sought-after trainers, speakers, demonstrators and clinicians anywhere. There is hardly an expo in the country or around the world where you will not find John, his children Josh, Brandi, and Michael or one of their certified trainers as a guest clinician. John and his wife Jody live and work in Parachute, Colo., on “Our Dream Ranch.” Their door is always open to everyone and you are invited to stop by anytime. 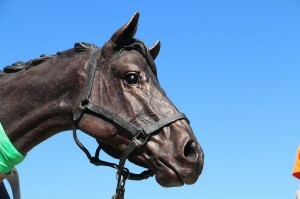 Big Horse Feed and Mercantile “Gift Registry” is the best way to avoid gift giving disasters this holiday season. The gift registry is the perfect opportunity to graciously tell your loved ones what you’d truly like for Christmas. Both registrants and their loved ones will receive 15 percent off any purchase of registry items (restrictions apply). That’s Big Horse savings! And ladies, it’s your night…Ladies Night on Dec. 6, 6-8 p.m.! There’ll be food and refreshments as well as 20 percent savings on your Christmas shopping. 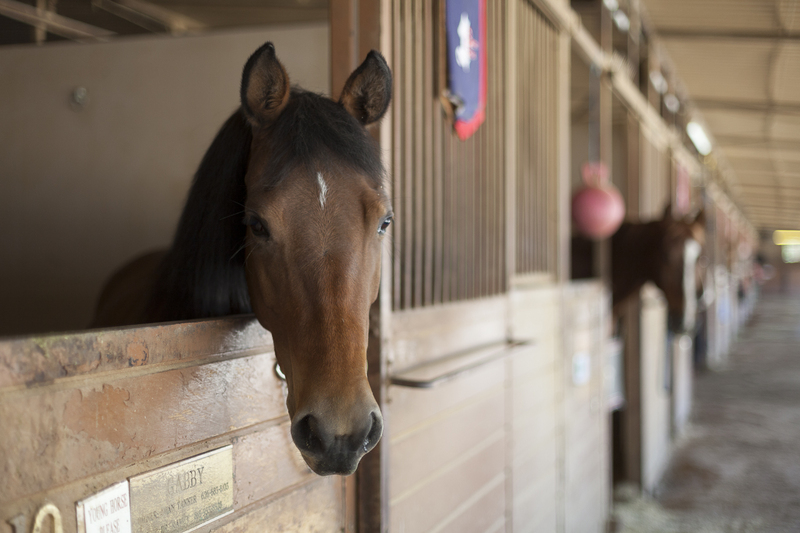 BURBANK — State officials last night confirmed that three additional horses in L.A. County have been confirmed positive for the non-neuropathogenic strain of Equine Herpesvirus-1, all of them boarded in the same barn at Los Angeles Equestrian Center. Two of yesterday’s three confirmed cases were at the same Oct. 27-29 horse show in Las Vegas that two previously confirmed horses had attended, according to reports from the California State Department of Food and Agriculture. One of those two previous cases, a 5-year-old Saddlebred, was euthanized Thursday. 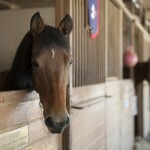 All five horses resided in Barn A at the L.A. Equestrian Center, which acted quickly with biosecurity measures upon early cases to isolate any virus. All three of yesterday’s confirmed cases are in isolation. Two of the three affected horses display neurologic signs, and the third horse has a fever. BURBANK — State officials confirmed Nov. 4 that two ill horses at the Los Angeles Equestrian Center have tested positive for equine herpesvirus-1 (EHV-1) after they had returned Oct. 30 from a horse show in Las Vegas, Nev.
One of the horses, a 5-year-old Saddlebred, was euthanized Nov. 3 because of the severity of its clinical signs, the California Department of Food and Agriculture reported. Out of an abundance of caution, the CDFA has issued a quarantine for exposed horses at the facility and has implemented enhanced biosecurity measures. All exposed horses will have temperatures taken twice daily and will be observed for clinical signs compatible with EHV. The Guitron family has a long tradition of braiding quality rawhide and leather tack in the spirit of the vaqueros for nearly 50 Years. Through this time, their selection of products has grown to include a full array of meticulously handcrafted tack, such as romal reins, bosals, headstalls and cavesons. Steve Guitron continues the family tradition. Made from only the finest leather and rawhide, you can be assured of the superior craftsmanship that is evident in his vast product line. In the market for a tractor? Let Inland Kubota in Redlands steer you in the right direction. Now through Dec. 31, Inland Kubota can oﬀer the Kubota L3301 compact tractor equipped with two new qualifying implements with a “Valuable Customer Instant Rebate” of up to $3,500. With more power, cleaner emissions and a bold new look, the new Standard L-series tractors are at the top of their class. The Standard L-Series has not only improved performance but also feature a revamped design with smooth, rounded contours from front to rear that improve visibility so you can get the job done faster and with ease in the comfort of the New Standard L-Series Tractors. You’ll ﬁnish the big jobs easily with the mechanical Synchro-Shutt le Transmission featuring inline forward and reverse shifting for quick directional changes. The transmission oﬀers four main-shift speeds and two range-shift speeds (Hi/Lo) for a total of eight forward and eight reverse speeds (8FX8R), enabling you to select the right speed for better productivity. The gear-drive models include a live, continuous-running rear PTO for easier operation. After years of inspired effort, a Memorial to SSgt. Reckless finds a home at Camp Pendleton. As a new SSgt. Reckless monument is lowered into a permanent place at Camp Pendleton, the mare seems alert to her surroundings. CAMP PENDLETON — October 26 was a significant date for a big-hearted mare off a racetrack in South Korea. It was on that day in 1952 that Reckless joined the United States Marine Corps. Her eventual battlefield heroics — real, not from Hollywood — would be unforgettable to those who witnessed them. It’s no coincidence that, after years of inspired effort, a magnificent monument to SSgt Reckless will be dedicated on Oct. 26 this year at Camp Pendleton, the mare’s final resting place. The hour-long ceremony that will begin at 10 a.m. is open to the public, and speakers will include Brigadier General Kevin Killea, Commanding Officer at Camp Pendleton, monument founder and Best Selling-author Robin Hutton and Jocelyn Russell, the renowned sculptor of the statue. 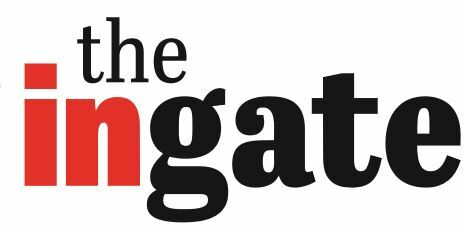 Also present will be about a half-dozen of the men who served with her in Korea and Camp Pendleton, or grew up with her and have memories of Reckless. Long before it was fashionable, Modesto Milling began taking organic feed production seriously. The company gained its first organic certification from Oregon Tilth of Corvallis, Ore., in 1998, becoming the first organic grain processor in Central California. Ninety-nine percent of the ingredients the company uses are organic or naturally-mined products, and its horse feeds contain only the best organic oats, barley and alfalfa, as well as organic coconut meal that are high in digestible fiber and healthy fats to promote healthy coats. What are other difference-making ingredients? Well, they include organic peas for high-quality protein; flax seeds and sunflower seeds for the omega 3 and omega 6 fats; organic stabilized rice bran for its fat and low-starch content; supplements like natural vitamin E and biotin for healthy coats and hooves; plus additional quality ingredients like diatomaceous earth, zeolite, yeast, sea kelp and other essential nutrients. The essential oils and herbs give the products a unique flavor that horses enjoy. Sgt. Reckless, on duty in Korea. LONDON — Sgt. 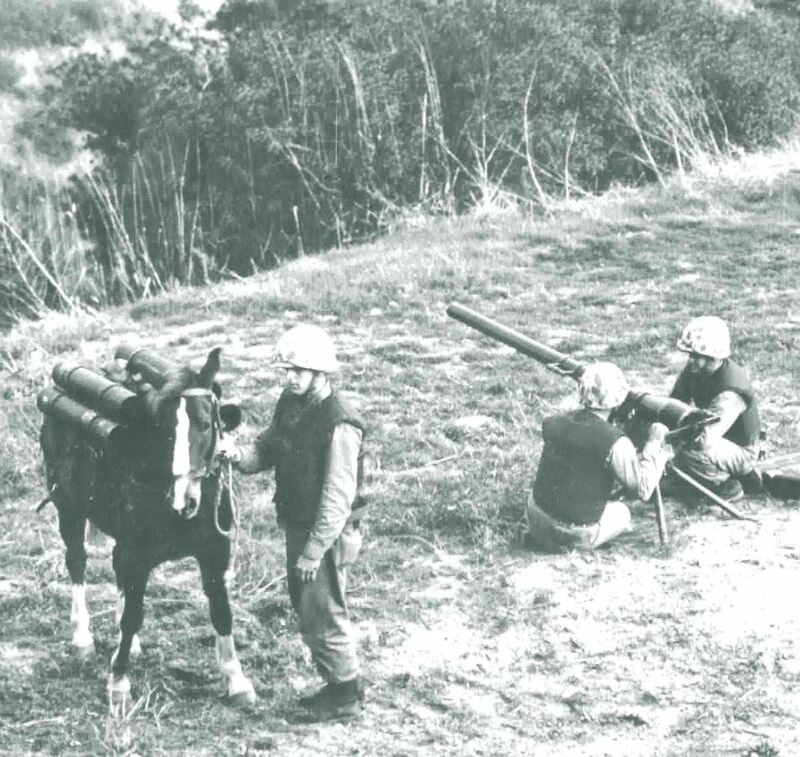 Reckless, the mare whose service aided U.S. Marines to victory in battles of the Korean War, recently received more posthumous military honors — this time, across the pond in London, England. The People’s Dispensary for Sick Animals (PDSA), a British animal charity, awarded Reckless the Dickin Medal — the animal equivalent of the Victoria Cross, the highest British military decoration for valor — for her service in 1952 and 1953 during the Korean War. U.S. Embassy attaché Lieut. Col. Michael Skaggs accepted the award on behalf of the U.S. Marine Corps, since Reckless passed away in 1968 in Camp Pendleton, where a permanent monument will be dedicated later this year.